Another prestigious build of magnificent large, spacious 4 bed detached Georgian Style properties proudly built by Sonlee Properties Ltd.
Clean lines and quality craftsmanship enhance the functional living space at Oak Glebe, Kildare. Finished to the highest standard these houses are sure to impress. 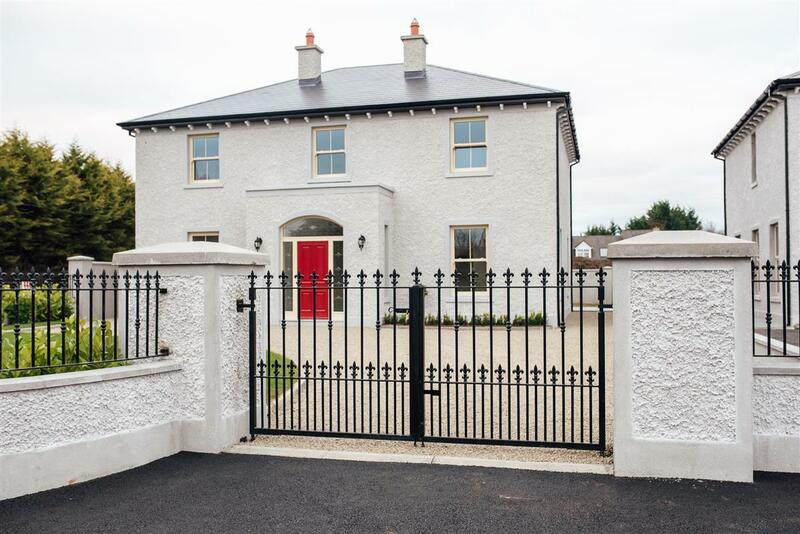 On the edge of The Curragh Plains, located on the Rathbride Road with the train station within walking distance. For any racing enthusiast you will also find the world famous Curragh Racecourse less than 5km away. Kildare Town has an array of amenities. These include, shops, leading supermarket chains, restaurants, primary and secondary schools, churches, bank, post office and much more. It is home to the internationally renowned Kildare Village Shopping Outlet, Irish National Stud and Japanese Gardens. Access to the motorway is only a stones throw. The vibrant town of Newbridge is a short distance away and a host of amenities can also be found there. These include Newbridge Silverware and the Whitewater Shopping Centre to name but a few.